Ms. Zwiers holds an MSc degree in Environmental Sciences, specialisation Water management from Wageningen University & Research Centre (WUR) in the Netherlands. She is a senior advisor with an extensive international track record of more than 10 years as an expert and trainer in Water Resources stakeholder participation and WASH capacity building projects in Africa, Asia and Europe. She worked for SNV Rwanda from October 2014 until December 2017 as WASH sector leader. During 2016 she worked as a Water Resources Planner in the Rwandan IWRM program Water for Growth funded by the Dutch Embassy. 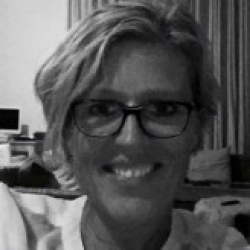 Before joining SNV in Rwanda she worked for the Netherlands Enterprise Agency (RVO) for the Department of international Development coordinating the Dutch Partners for Water Programme. She worked for MWH, an environmental consultancy as a senior advisor/team leader on Dutch waste water management projects and she coordinated projects on water and sanitation management on behalf of the Dutch government in the Netherlands.